Guts and Glory, that’s the crux of Vermintide 2 and what a glorious crux it is. I feel like you could quite easily just say Vermintide 2 is Vemintide 1, but better in basically every way. I will admit that I only really put in a couple of handful of hours in to the first one, but that’s because it didn’t quite grab me. Sure it was fun, but it felt like something was lacking when it first launched and that something was the loot, or lack thereof. For me, the grind felt too grindy, I don’t really remember getting anything good and some of the loot mechanics felt a little convoluted to me. I’m sure that it got better as time went on, but by that time I’d stopped playing it. Vermintide 2 though, well that’s a different story, I’m kind of hooked on it. Following the events of the first game, Grey Seer Rasknitt has successfully captured the five Heroes of Ubersreik – us. This means that without us going around lopping off the heads of Skaven rats, the city of Ubersreik has fallen to the forces of Clan Fester. Rasknitt then orders the construction of a massive portal known as the Skittergate, which lets the Chaos Champion Bödvarr Ribspreader – great name by the way, and his Rotblood army easy access to the border/city of Helmgart. But it doesn’t work properly and eventually the Skittergate breaks and inadvertently frees one of the heroes, and that’s where we come in and wreak havoc upon them! The game follows three acts each with their own setting and feel to them which all look amazing and have a great atmosphere to them. It adds a nice amount of variation going from open wheat fields to narrow darkened caves, to snowy cliff edges. Each act has various levels with their own bosses to beat at the end of them. They all then meet at a crescendo for one final battle. Normally in a game like this I wouldn’t be that bothered about the story, but I actually really enjoyed it and enjoyed listening to the little bits of dialogue here and there. The world of Warhammer has some incredible lore, so it makes sense that it should show up here in a well thought out way. It’s not a story that’s going to blow your mind, but it’s nice that it feels thought out and not just tacked on. Along with the usual Skaven rats that you might be used to, there are now a whole bunch of new enemies to slice your way through – the Chaos. Both races have various types of soldiers from the squidgy Skavenslaves and Rotblood Zombies who appear in large numbers but are easier to take down, to the larger more powerful guys like the Maulers and Stormvermin who will take a bit of co-ordination and focus to deal with. Then you have a host of specials and boss variations too. Add in some random spawning on them and each level can feel quite different when re-playing them. There has been some mention of the spawning being looked at as at times you can easily get overwhelmed by too many specials, hordes and bosses spawning all at once. I think this is more of an issue when playing at the higher difficulties. 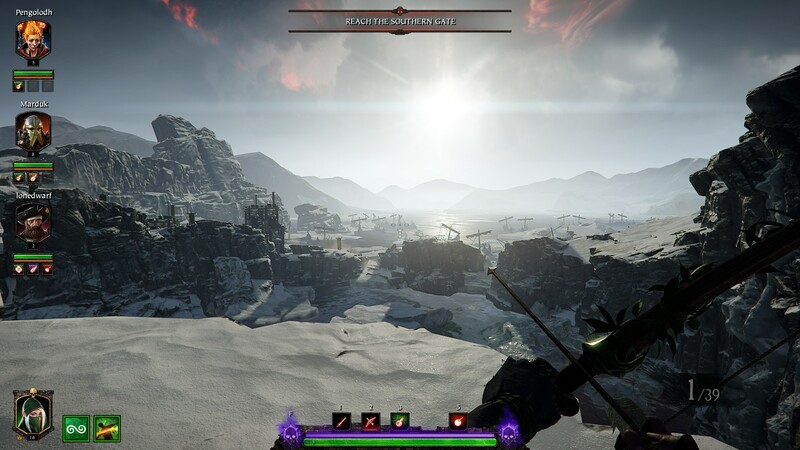 In Vermintide 2 players have the choice of five classes and each class has three careers within it offering different passive abilities and special abilities. Most of my time has been spent with Kerillian and specifically the Waystalker class, although I’ve played all of them get a feel for them. 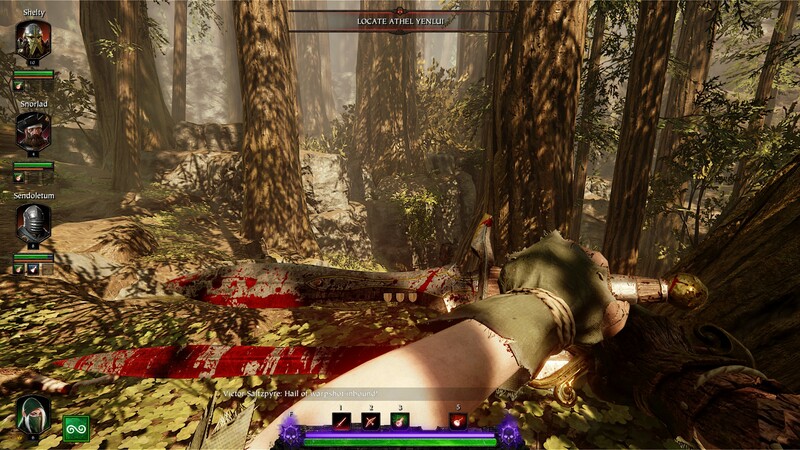 For me Kerillian just feels the most fun to play at the moment, I like her combination of fast attacks and the bow for ranged – seriously, hitting headshots with the bow is super satisfying. Each class feels pretty unique and each of the careers change up the way each character plays, but some of them do feel way more useful than others and I’m sure they will be tweaked over time to make them a little more balanced. For example the Waystalker’s special ability is basically homing arrows that can one shot a lot of enemies and are perfect for taking out the tougher guys quickly when you have a lot of enemies to deal with. The other two careers abilities just don’t feel anywhere near as useful to me and I’ve basically just stuck to the starting class with Kerillian. So the gameplay is great, super satisfying and feels pretty varied throughout. The other major side of the game is loot and thankfully that also feels pretty rewarding. You get a loot box every time you level up and you can earn loot boxes from every mission you complete. The level of the loot box and its rewards depends on how well you do during that specific level, and completing certain actions will help fill up an xp-esque bar that upgrades the tier of box with each bar filled. If you collect Grimoires you’ll earn more xp, if you collect the Tomes you’ll earn more etc, etc…Playing at a higher difficulty will also allow you to earn gear at a higher power level. This means that pretty much every level you play you will be getting new gear and that feels great. I’ve always felt like there was a nice continuous stream of loot coming my way and a lot of it actually feels relevant and I’m not just scrapping everything I get. I’m sure the higher level you get the less likely it will be that one piece of new gear will help you. But at the lower levels it feels like each piece is making you just that little bit more powerful. 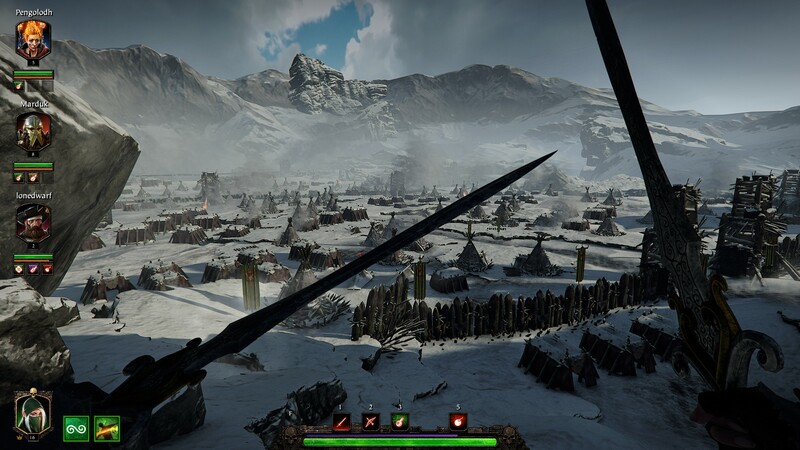 At the moment, Vermintide 2 is an early contender for my game of the year. It’s fast paced and visceral combat, slick visuals and enjoyable grind make me want to keep coming back for more.